PATNA: Ruling coalition and the Opposition came together on Tuesday to slam NITI Aayog’s CEO Amitabh Kant’s remarks, putting the blame for India’s backwardness on eastern states like Bihar and UP. “Bihar and Biharis pay equal taxes, contribute equally or more in governance and nation building. 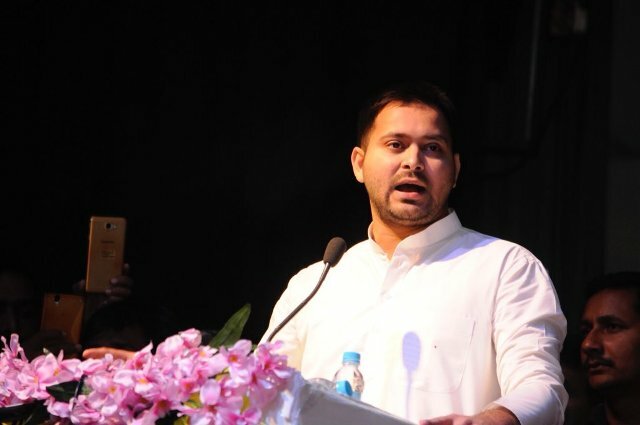 Bihar gave 33 MPs to NDA, seven Union ministers are from Bihar, both State and centre governments are of the same party and alliance but still these Babus say Bihar is backward,” RJD leader and former deputy chief minister Tejashwi Yadav tweeted today. He added Kant’s remarks had exposed the much-flaunted “Bihar model of development” if Kant’s remarks are any indication. So He means so called Bihar Model of Nitish Kumar is hoax & forged. The JD-U headed by chief minister Kumar too reacted bitterly to Kant’s remark and said historical reasons, and not Bihar, are responsible for country’s backwardness. “Those questioning Bihar must know that it has reported higher growth rate than the national average in the manufacturing sector for the past 12 years despite being put in the list of backward states,” said JD-U spokesperson Neeraj Kumar. The BJP too reacted bitterly. “Bihar and UP are front runners in country’s politics. We have always contributed to the development of the country and will continue to do so,” Union minister Ashwini Kumar Choube told the media today.